A falling tree has killed a firefighter while he was helping his family clear debris from Hurricane Michael in the Florida Panhandle, increasing the overall storm-related death toll to 35. Fire coordinator Brad Price, 49, of Wewahitchka was on his tractor when he was killed Thursday, the Gulf County Sheriff's Office said on its official Facebook page. With Price's death, 25 of the fatalities have been confirmed in Florida. 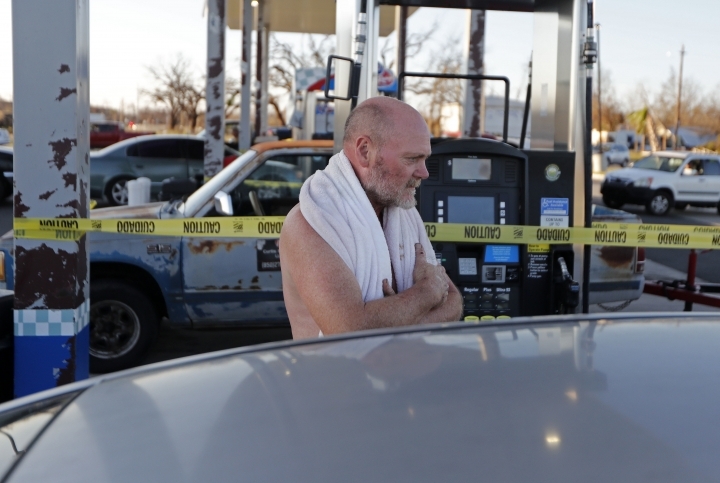 Many of the deaths in the heavily timbered Panhandle were from tree falls, while other bodies have been pulled from homes decimated by hurricane-force winds and storm surge. The storm also killed 10 people in Georgia, North Carolina and Virginia, where most were caught in flash flooding. Authorities in Florida say Hurricane Michael has killed at least 24 people, bringing the overall death toll to 34. Florida Emergency Management Division spokesman Alberto Moscoso says the state toll stood at 24 on Thursday evening. A news release added three more deaths to Bay County, bringing the county's total to 15. It also reported one death each in Gulf and Calhoun counties, and two deaths in Jackson County. 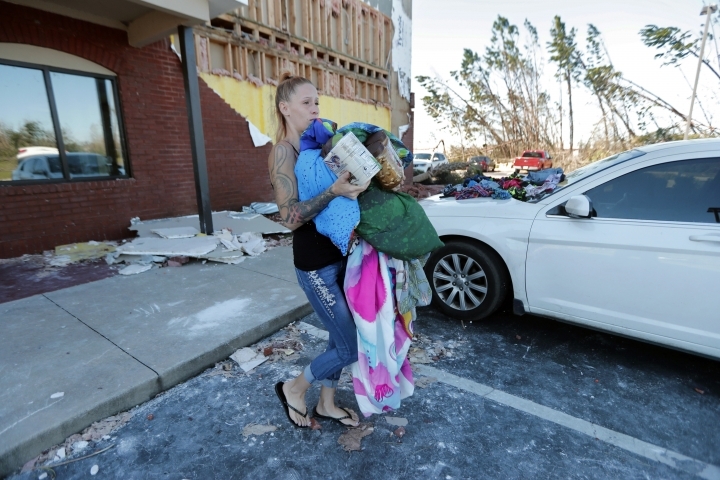 Michael, which slammed into Florida's Panhandle with 155 mph (250 kph) winds on Oct. 10, retained hurricane-force winds as far inland as southern Georgia, and also affected the Carolinas and Virginia. Six deaths were reported in Virginia, mostly from flash flooding. North Carolina had three deaths, and Georgia had one. The aftermath of Hurricane Michael is keeping courthouses closed in six Florida counties. Florida's 14th Judicial Circuit announced Thursday that most of its courts will remain closed through at least part of next week. Re-opening will happen as each county is able. Courts in Bay, Holmes and Jackson counties will be closed through next Friday. Courts in Calhoun and Washington counties will be closed through Wednesday. Gulf County courts will be closed the rest of this week but are expected to reopen Monday. Some of the Clerk of Courts offices will be open in a limited capacity. Michael slammed into Florida's Panhandle with 155 mph (250 kph) winds on Oct. 10. Authorities in Florida say Hurricane Michael has killed at least 20 people, bringing the overall death toll to 30. Florida Emergency Management Division spokesman Alberto Moscoso says the state toll stood at 17 on Thursday morning. It included an additional death confirmed in Liberty County. Those numbers come from fatalities confirmed as storm-related by district medical examiners, and include 12 deaths from the hardest-hit Bay County. Additionally, three more deaths have been confirmed as storm-related to bring Bay County's total to 15 deaths, according to Whit Majors, chief investigator for the district medical examiner's office. Majors says those deaths were reported to state emergency management officials. It wasn't immediately clear why they were not yet added to the statewide tally. 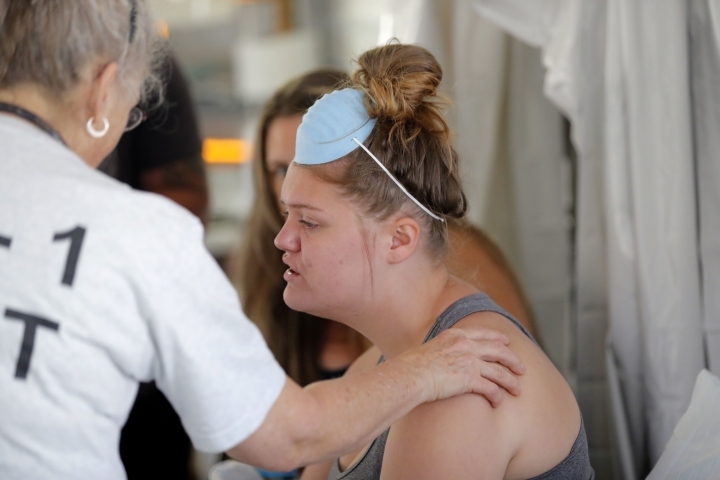 Residents of Mexico Beach, Florida, have returned for the first time since Hurricane Michael tore apart their lives, but some found there is no home to come home to. 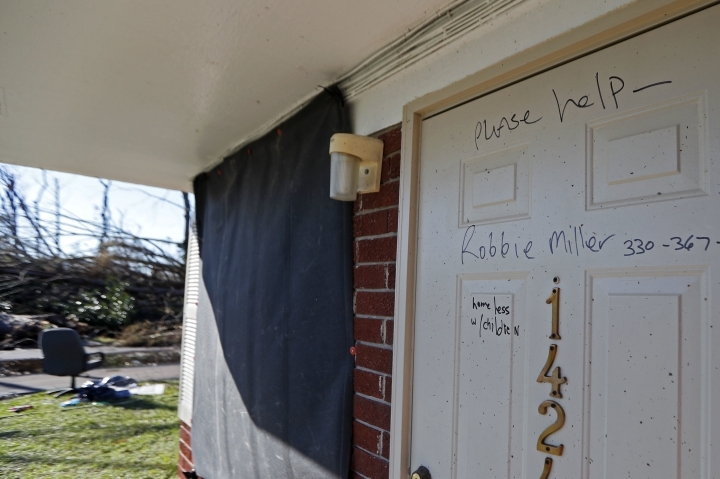 The powerful storm raked away many houses in this Florida Panhandle community of about 1,200 people that was near ground-zero of the powerful hurricane. 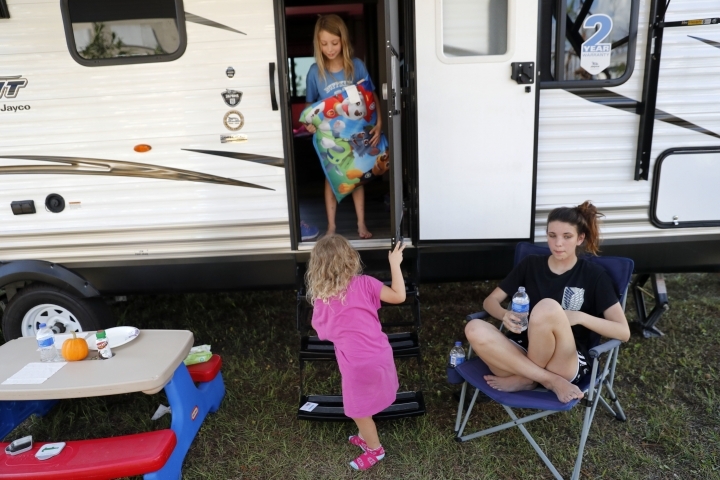 Residents, some in tears, returned home for the first time Wednesday, about a week after the major hurricane slammed ashore not far from their coastal community. The storm killed at least 16 people in Florida and at least 10 others elsewhere in the South. And many homes in Mexico Beach were reduced to concrete slabs in the sand.